The United States Armed Services, comprised of the Army, Navy, Air Force and Marines, rely heavily on the procurement of clothing and textiles (C&T) and individual equipment items by the Defense Logistics Agency – Troop Support in Philadelphia, PA (DLA – TS). 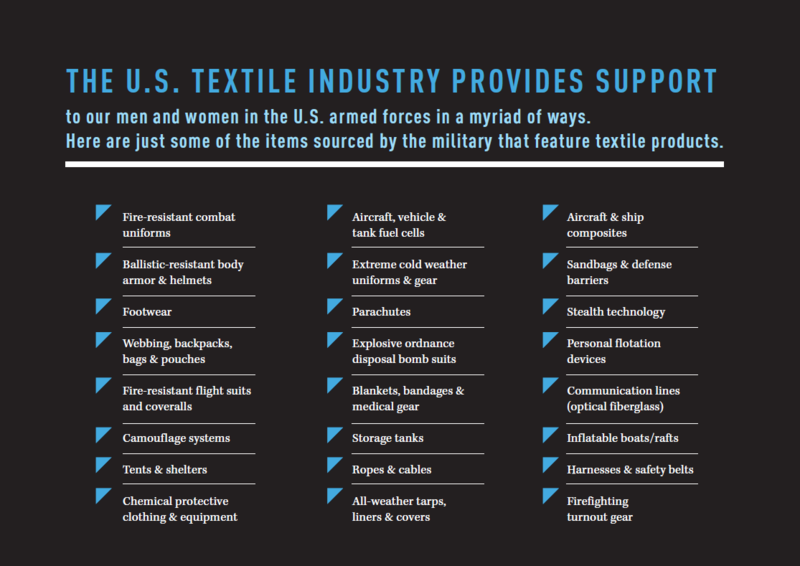 This Department of Defense (DoD) purchasing activity estimates that more than 8,000 different textile items are purchased annually for use by the U.S. military and other allied organizations, and this figure actually rises to more than 31,000 line items when individual sizes are factored into the item mix. The Berry Amendment is not the only law governing government procurement. For civilian government procurement, different rules apply. In 2010, a new requirement, known as the Kissell Amendment, requires Berry Amendment-like procurement rules for certain agencies within the Department of Homeland Security. At present, this includes the U.S. Coast Guard and the Transportation Security Administration.